Smart, Mercedes-Benz and Porsche as “company car"
Who isn’t dreaming of an LR Porsche or a Mercedes-Benz for private use? These dreams come true with LR. More than 5,000 LR Smarts are on the road in Germany. A trend that is sharply on the rise. The LR car plan with Smart, Mercedes-Benz and Porsche rewards LR partners for successful cooperation and at the same time motivates them to tackle new objectives. 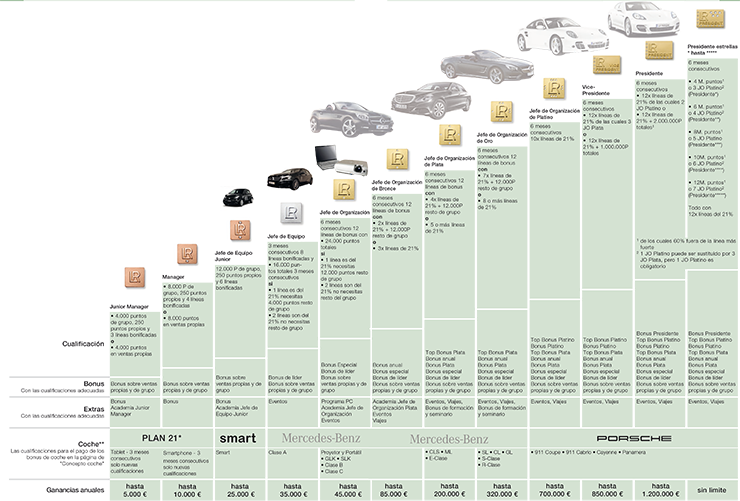 5 tiered car concept from smaller to a luxury sports car. Over 6500 cars on the roads. LR is one of the biggest customer of Smart, Mercedes Benz and Porsche.